Advantages of a platform bed? A platform bed is a contemporary classic and becoming more poplar in the design world. Many arts and craft enthusists have used platform bed designs since the 1970's. They have traditionally been used in Asia and Europe for their simplicity. Using a platform bed gives a sleeker, uncluttered look to any bedroom. 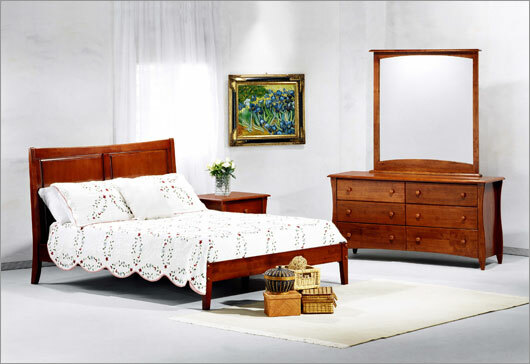 There are so many different styles today to coordinate with more traditional bedroom pieces. The three main types are low profile, ones with a canopy, or the storage type.They are available in unlimited finishes and styles to choose from. Depending on your tastes light or darker wood finishes can be used. You are bound to find a bed you will love! Try updating your bedroom with a new platform bed. Clean, simple designs can coordinate with almost any decor. Want an uncluttered room that looks and feels more spacious? A platform bed is what you want. Now all you need is a new mattress, minus the box springs, for saving you money. Platform beds use wood slats or a solid base for your mattress to rest on. Whether you prefer oriental designs, modern, or traditional furniture there is a platform bed for you. Creating a peaceful and esthetically pleasing bedroom is important for a good night's sleep. 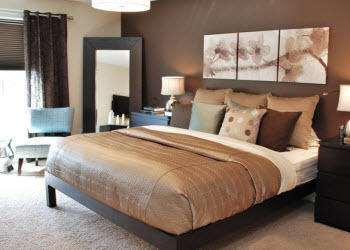 Of course choosing the most relaxing color combinations and room placement comes first. Deciding on the right bed and mattress along with the right size for you needs is next. Storage and lighting is also important. Next seating space for reading and relaxing in your own space needs to be considered. Platform beds are simple, beautiful, and help create a contemporary, streamlined bedroom environment making any bedroom appear larger. Available in both metal and wood styles to compliment any bedroom. originally created to give an alternative and inexpensive bed too put a futon mattress on. Now they are made to accommodate a traditional mattress too. 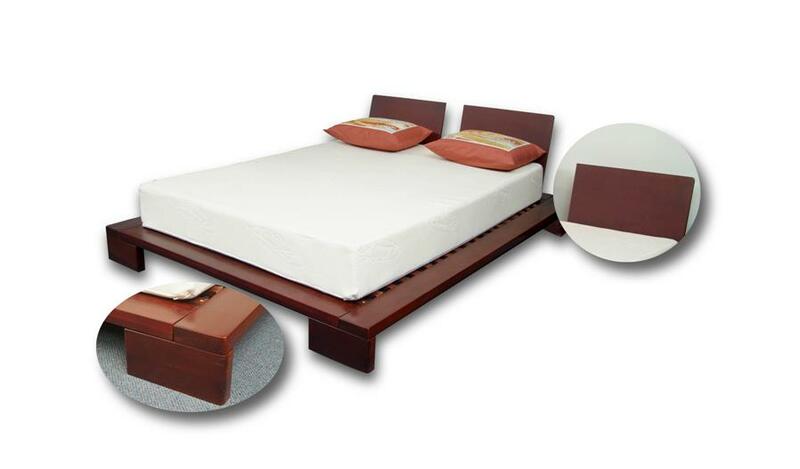 The advent of memory foam, gel foam, and latex along with non-spring mattresses are a perfect match for a platform bed. I was reading the WSJ style section and found an article on Platform beds. This reminded me how platforms have gained in popularity over the past few years due to new styles and changes in mattress technology. "The Twilight Saga" movie has helped propel the concept of platforms to a new level with Bella and Edward's romantic interlude on a 4 poster platform bed. Their version of a platform bed sells for about $4,400 dollars. Remember the family from Twilight was extremely wealthy. Ours are much less expensive. Queen sizes beginning at $319 and going up to maybe $900. What is a platform bed mattress? Where do I find one? Without a foundation do I still have a warranty? Why do mattresses seem to be shrinking? We delivered a platform bed and mattress to a customer last week to find out the mattress was too small for the bed. Mattresses are being delivered to customers with beds that look too big for the mattress all the time. What's going on? Over the past few years cheaper or really well priced low end mattresses have become smaller in overall size from many of the mattresses makers in order to save money. "Platform beds are beds whose base consists of a raised, flat, hard, horizontal surface meant to support just a mattress. Platform beds provide firm cushioning and with the support of slats or solid paneling, they eliminate the need for a box-spring or a mattress foundation; they give adequate support for a mattress by itself."